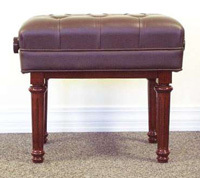 Artist’s benches are available with several leg styles. They can be finished to match your piano. The padded covers come in a variety of colors in either vinyl or leather. 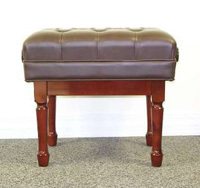 We can create exactly what you and your piano need. 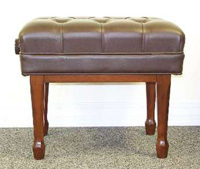 Please call or email and we will make certain you get the perfect bench.